to all new customers of Mondial events&travel. 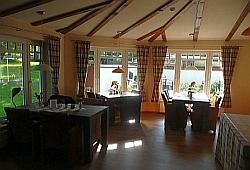 Here you find the descriptions and prices for all our Wacken hotel packages. There is a long and lively history behind the ensemble of the in 2009/10 completely renovated and more than 100 years old buildings. The 10 cosy rooms are individually designed, have shower or bathtub and are personally decorated by the owners. All guests are welcome to make use of a small, modern gym and brand new sauna facilities located in the basement or ask for excursions and bike tours that start right behind the garden door. A hidden secret located in between North and Baltic Sea and ideal to extend your vacation a few more days before or after the festival. 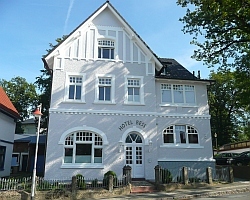 Hotel Bess is the ideal place to spend a few more days before or after the festival in Northern Germany. Hiking, golf, biking and tours to the Baltic and North Sea is worth staying a few days more. and only 23 km to Wacken. large buffet breakfast until 11.30am. Entrance fee for SPA, pool and sauna. Mondial events tour guide to contact in the hotel. 6 transfers from the the hotel to the festival site and back. Transfer time 25min. From Hamburg airport take train S1 towards Blankenese. Exit the train at Hauptbahnhof and change to Regional Express train in the direction of Neumünster. Exit in Neumünster and change towards Heide until you reach Albersdorf. The train ticket to Albersdorf costs about € 17.- per person oneway from the airport or main station. Make sure you purchase the ticket before you enter the train. No online sales for this routing. A taxi from the station to the hotel costs € 5.-. Alternatively you may take a 5 min. walk to reach the hostel. If you are 2 persons or more, ask for a Schleswig Holstein Ticket. Up to 5 persons can go on the same ticke for the price of 2. A taxi from downtown Hamburg to Albersdorf is about € 120.- and from the airport around € 100.- . From Hamburg airport or downtown Remedy Records you may take the Metal Travel Bus to Wacken. From there the taxi will cost only about € 30,-.